Today we walk down the memory lane, unraveling the saga of a brand that convinced us to believe that ‘Agar daag lagne se kuch accha hota hai toh #DaagAcheHain’. None other than Surf Excel – the brand which is touted to have revolutionized the detergent category with its distinct positioning. Standing strong against Nirma’s Hema, Rekha, Jaya, and Sushma – Surf Excel’s Lalitaji cultivated the definition of ‘sasti aur achi cheez’ for consumers. Even after 59 years of its existence, Surf Excel remains true to its brand philosophy and is currently marketed as the counterpart brand of OMO detergent in India, Pakistan, Bangladesh, and Sri Lanka markets. The detergent market is growing at a CAGR of over 13% in the last 5 years in India and it is expected to grow at a similar rate in the near future. 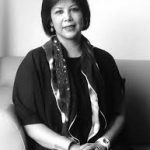 When asked about her fondest memories about the brand, Anita Nayyar,CEO – India & South East Asia, Havas Media Group exclaimed, “Surf is an iconic brand which has stayed fresh (as it treats the clothes). Throughout my advertising career and not to forget the other housewife hat that I wear I have had fond memories. First introduced in neighboring Pakistan just after a year of independence in 1948 by Unilever; Surf was brought to India in 1959. Believed to be one of the oldest detergents, it was launched with an aim to become the one-stop shop for people seeking solutions for laundry issues. Soon after, India witnessed a tough detergent war with the arrival of Nirma in 1969 and thus was born Lalita ji – a mastermind of ad guru Alyque Padamsee. An answer to Nirma’s cheap pricing, Surf excel’s Lalita Ji stood for value for money and became a household name thereafter. 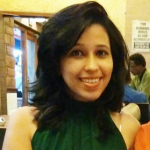 “Surf Excel to me starts with memories of our first television set at home and Lalitaji talking to us about “Samajdaari”. My mother would actually cite her as an example when she wanted to teach us a lesson on value shopping. 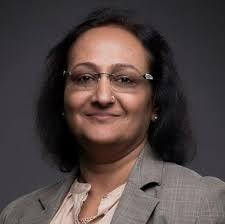 I also have memories of Surf being used as a generic name in our house for detergents- no matter what brand was actually bought by my mother!”, reminisced Babita Baruah, Managing Partner, GTB India. 1991 saw the entry of yet another player in the detergent market – this time it was P&G’s Ariel, targeted at a premium level. Surf had to react to this. 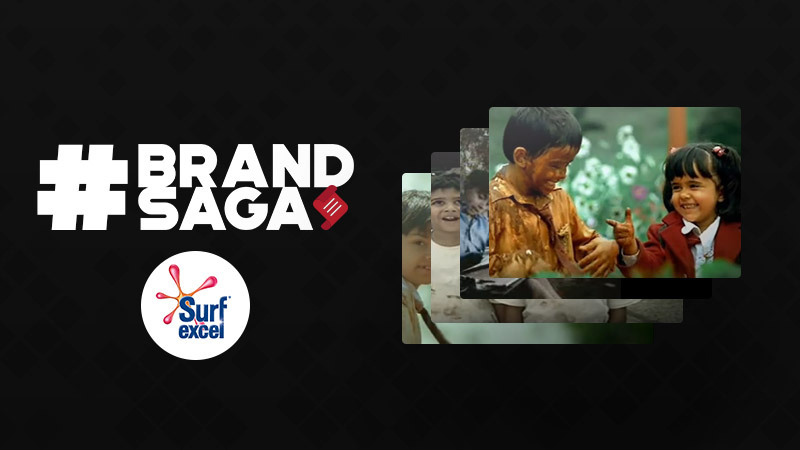 It underwent various changes in brand communication and was replaced by Surf Excel in 1996. The move was in line with the Unilever’s global communication theme, Dirt Is Good for its premium detergent brands. Facing stiff competition from the constantly evolving laundry detergent segment with the launch of local products and mid-pricing, Surf Excel rolled out Surf Ultra with enzymes technology. This also gave birth to ‘Daag Dhoondte Reh Jaoge’ philosophy, kuch yaad aaya? In the late 90s, Surf Excel went with the tagline ‘Jaise Bhi Daag Ho, Surf Excel Hai na’. It was only in 2005 when the brand managed to break through the clutter introducing ‘Daag Ache Hain’. With this, Surf Excel targeted housewives, especially with kids and catered to the urban audiences. Imagine someone telling you that ‘Its okay if you spoil your newly bought white shirt, kyunki Daag Ache Hain. Surf Excel did it. It went onto produce Surf Excel bars. Teaming up with Lowe Lintas, the iconic brand created themed campaigns that became every house story. The ‘Dirt is Good’ campaign began with the famous puddle war commercial, where a brother is shown taking revenge on a mud pool for spoiling his little sister’s clothes. The communication continued with a series are stories of children getting dirty while doing something good … hence dirt is good. This commercial helped the brand build high salience amongst the target audience and was followed by equally interesting executions over the years. The consistency and distinctiveness of the campaign led to building differentiation for Surf Excel that has resulted in strong growth for the brand. The ads portrayed qualities that parents desire to have in their kids- be it ‘badappan’ or ‘forgiveness’. What worked in the favour of Surf Excel is the communication that always centered around people (consumers) while it’s competitors focussed on the product. Amidst the mainline communication through Television, Radio, Outdoor, and Print, it was ‘storytelling’ in regional languages that made Surf Excel a versatile brand and a favourite among the lots. With the arrival of digital, storytelling became an even bigger part of their communication. Cut to 2016, Surf Excel Pakistan weaved a creative gem on the occasion of Ramadan #madadekibadat which was a hit and won many accolades. The same year also saw Surf Excel India leveraging the festival of light by rolling out #AbLagRahiDiwali. Owing to the success of its previous year Ramadan campaign, in 2017 the brand took the creative thought process a step further and kept people drooling over the selfless act of little Shahid and appreciate the true spirit of Ramazan. From promoting itself as a better option than its competitors, Surf Excel marched ahead standing for righteousness and human qualities to possess but did not let the kid in it go away. The commercial shows a young kid standing up to bullies by a mix of courage and quick thinking that ends up saving the day. Further to PM Narendra Modi’s Swachh Bharat Initiative, Surf Excel took on itself to put the spotlight on the matter of environment cleanliness with Surf Excel Keep India Clean Watch. The one-minute 20-second ad showed little heroes leading the change. Amidst race to catching up with the ever-evolving trends, Surf Excel has always been equally focused on the various product-centric adverting for variants like Surf Excel Matic Liquid, etc. An extension to it’s ‘Dirt is Good’ positioning, #ReadyForLife – an activation was launched across digital platforms, enabled the brand to engage with millions of mothers in urban India. Through the initiative, the brand aimed to empower mothers to start parenting journey by signing up for the campaign and registering for a set of events where they can take their kids to during the summer break. Jumping on the social experimenting trend, Surf excel undertook ‘The Falling Test’ wherein they asked – How do kids learn about failure? For a brand to keep the communication going for decades, its always a challenge to come up with a fresh twist initss advertising. Surf Excel very much understood it and launched Haar Ko Harao under ‘Dirt Is Good’. Here the ads preached parents that if kids get dirty in learning to defeat failure, then dirt is good. From the plain vanilla Surf to Surf Excel and its distinct variants, the brand has traversed through like a true player with an undying spirit in the Rs.13000 crore detergent industry.